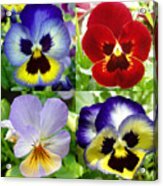 Four Pansies iphone x case by Nancy Mueller. Protect your iPhone X with an impact-resistant, slim-profile, hard-shell case. The image is printed directly onto the case and wrapped around the edges for a beautiful presentation. Simply snap the case onto your iPhone X for instant protection and direct access to all of the phone's features! Thank you Nancy. This was one of the prettiest entries in the FAA Digital Flower Show. 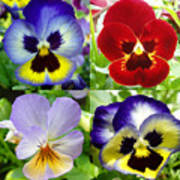 Beautiful pansies, Nancy! Fantastic colors! 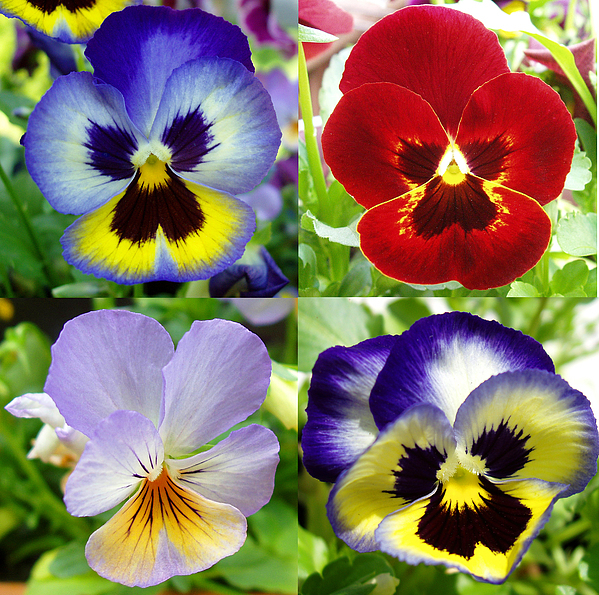 Arrangement of four beautiful close-up images of pansies in full bloom. Original signed and matted.